Travel to and from Birmingham was fraught with airplane delays and even one cancellation, but the trip as a whole was immensely enjoyable. 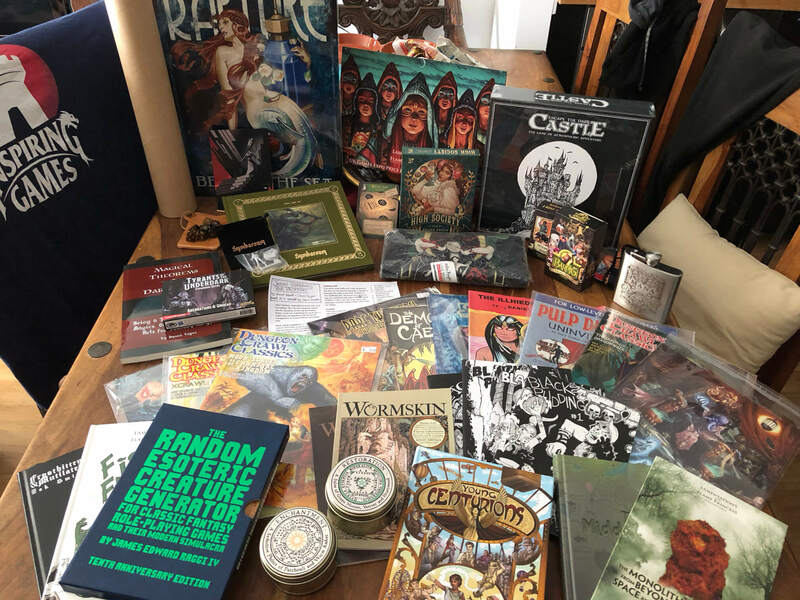 On top of running back to back demos of Legends Untold, I ran around the trade halls throwing money at traders in exchange for the latest and greatest in their RPG arsenals, boardgames, or accessories, bumped into some old friends, and made new ones. I managed to squeeze in a Pathfinder 2 playtest game, which, truth be told, was a little underwhelming. Since I’ve been following the blogs from Paizo about PF2, I had already seen everything they showed, and there were no suprises left, not even some new pieces of art. The scenario—if you can call it that—they had us play consisted pretty much of one very generic fight. There was nothing inherently bad about anything they demoed, and to someone who had not read the preview blogs it might have been interesting, but I believe they missed a trick in not catering to the learned fan, eager to see something new for their troubles. Along my zigs and zags through the stalls, I bumped into Peter Regan of The Black Hack fame, and Mattias Johnsson from Team Järnringen, makers of Symbaroum. 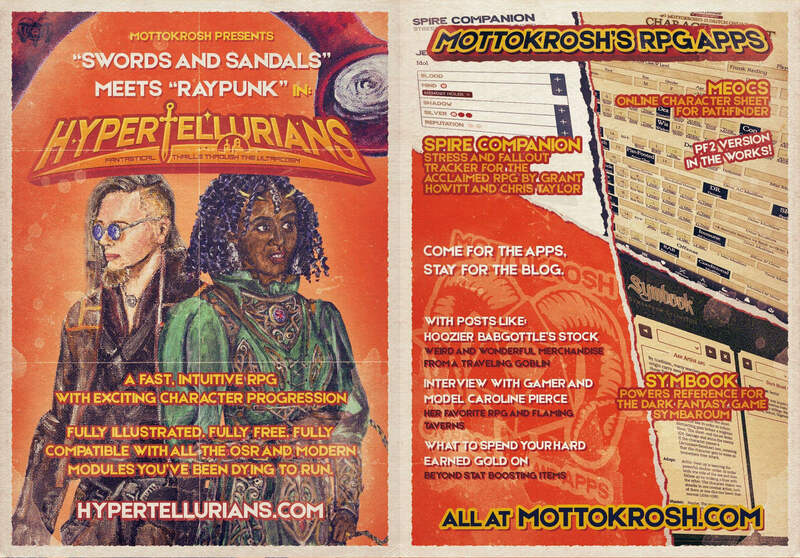 And on my precious breaks from demoing I took the opportunity to interview James Raggi from Lamentations of the Flame Princess, Grant Howitt and Chris Taylor from Rowan, Rook, and Decard, and Hugh Ducker and Kevin Young from Inspiring Games. I talked to James about the origins of the LotFP name, gossiped with Grant and Chris about the Norwich university games club, and with Hugh and Kevin about the art of their games, and much more. I will post these interviews over the next few weeks, as I get around to transcribing them. A special shout-out goes to Gametee and their beautiful and beautifully crafted game accessories and items. I had a hard time limiting my shopping at their stall. I was so busy the whole time that I hardly took any photos. I grabbed a few of our stall, and on the last day I snapped a couple of awesome cosplayers, and the cosplayers demo. Time flies when you’re having fun, and that’s doubly true at a games convention. I will do my best to be back next year—and perhaps I’ll even get to talk to all the other amazing OSR people who were there but I missed. I might also attend Dragonmeet in London towards the end of the year, and we’ll see what cons near me pique my interest. But for now it’s back to Hypertellurians: those pregens won’t illustrate themselves. Plus I’ve got a few new powers to add too.